The Indo-European submarine cable and the formation of the Eastern Telegraph Company are one and the same story. The various companies set up by John Pender to link the UK to India are detailed below, as is the developing story of the Eastern. Unless otherwise stated all cables mentioned in this article were manufactured and laid by the Telegraph Construction and Maintenance Company Ltd. (Telcon). 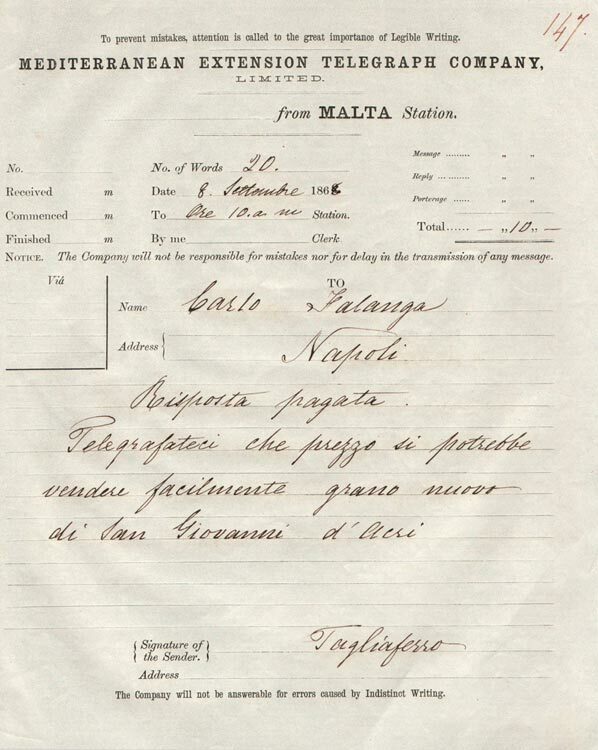 The company was formed in 1857 by John Watkins Brett with the intention of linking Malta into the French and Italian land systems via a cable from Sardinia to Malta. R.S. Newall and Company were contracted to manufacture and lay the cable, which ran from Sardinia to Malta and on to Corfu. Later a cable was laid from Corfu to Otranto, Italy. CS Elba and CS Blazer (2) carried out the work. The Malta cable failed in 1859 and the Corfu cable in 1861. 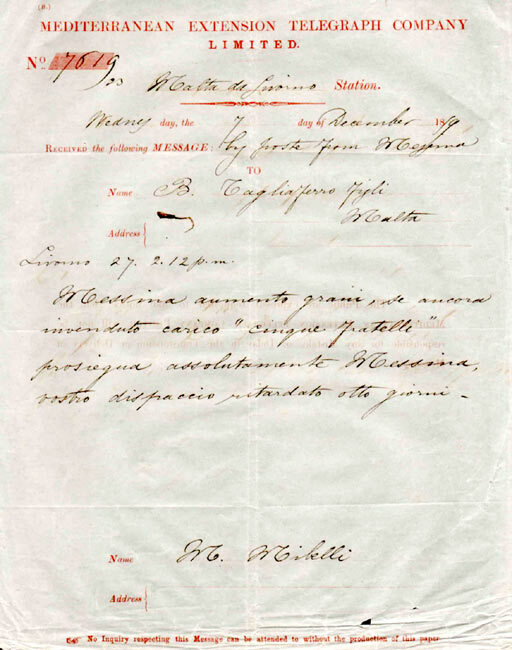 Glass, Elliot were contracted to lay a cable in 1859, linking Sicily and Malta. 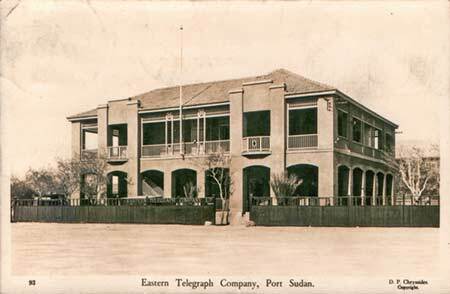 In 1868 the Anglo Mediterranean Telegraph Company, set up by John Pender, took over the concessions of the company. See also Denis A. Darmanin’s article on cable uniform buttons from the Malta telegraph companies. 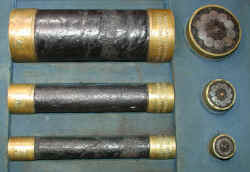 In 1859 Glass, Elliot and Company received an order from the British Government to manufacture and lay a cable from Falmouth, England to Gibraltar. 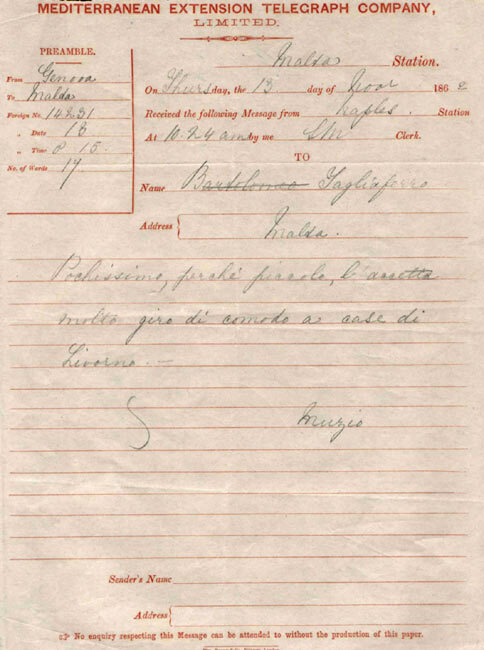 The government then changed the route to Rangoon - Singapore and finally to Malta - Alexandria, Egypt. The vessel chartered to lay the cable was the Queen Victoria. This charter was shortlived as the ship was wrecked in the English Channel. The cable was recovered and two more vessels, the Rangoon and Malacca, were chartered to carry out the task. The Malacca started laying from Malta to Tripoli and Benghazi with Rangoon commencing from Alexandria towards Benghazi. Both ships were involved in laying the cable into Benghazi. 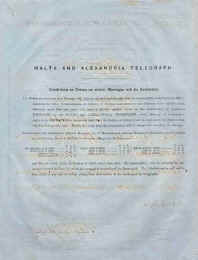 In 1868 the cable was taken over by the Anglo-Mediterranean Telegraph Company. 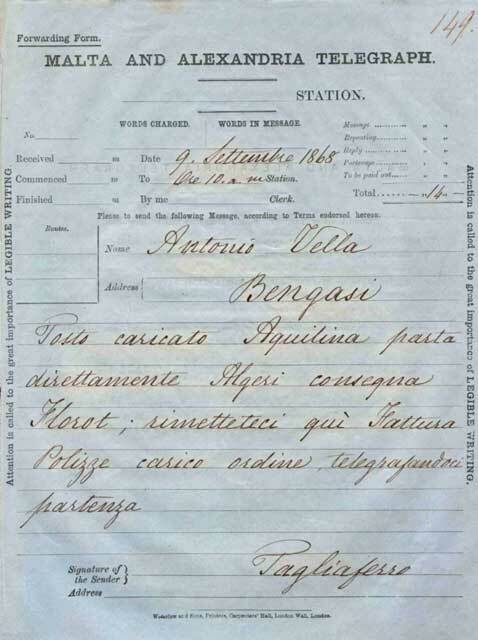 In 1868 John Pender gave up the Chairmanship of the Telegraph Construction and Maintenance Company (Telcon) to enable him to set up his first submarine telegraph company, the Anglo Mediterranean Telegraph Company, to link Italy, Malta and Egypt and also to be the first link in the cable to India. 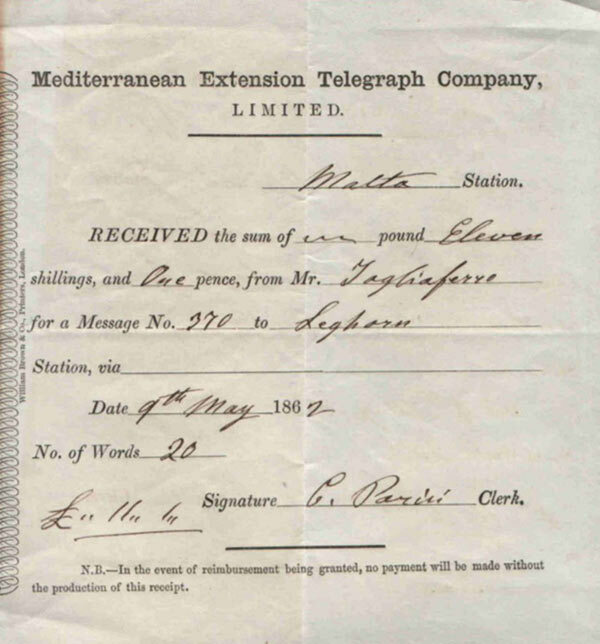 The company took over the concessions awarded to the Levant Telegraph Company and the Mediterranean Extension Telegraph Company which had a cable running from Sardinia to Malta and one from Malta to Corfu. 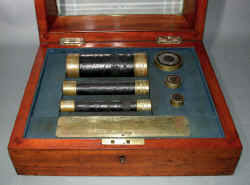 In 1870 CS Hawk duplicated both of these cables. 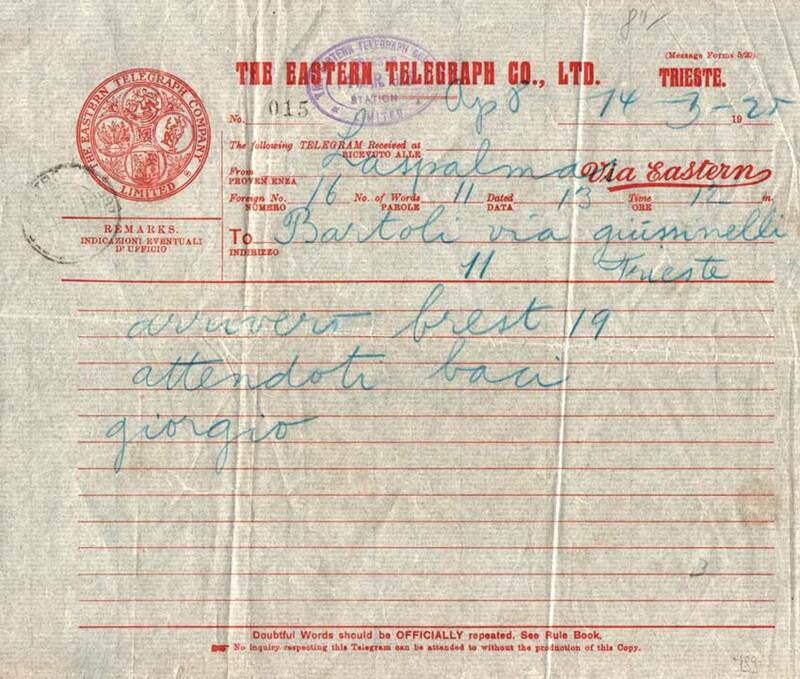 These enabled telegrams from Malta and Alexandria to be passed into the Italian and European telegraph networks and then via cross-Channel cables to England. In addition a cable laid by Glass, Elliot & Co., and owned by the British Government, running between Malta - Tripoli - Benghazi - Alexandria was also taken over. 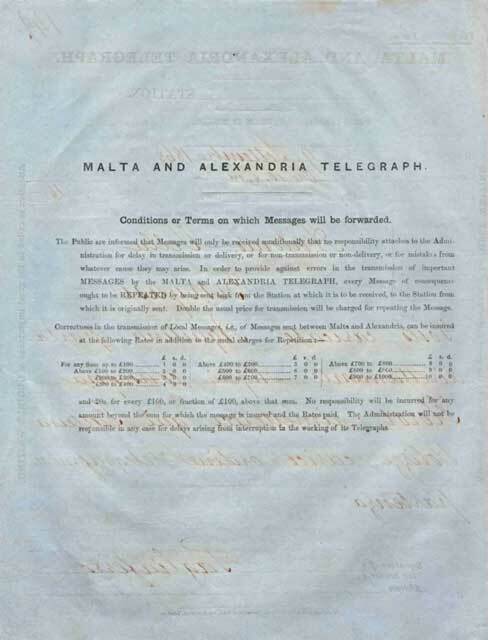 Paying out for the Malta - Alexandria cable began on 26 September 1868 from Malta by CS Scanderia, which carried a total of 890 nm of cable. CS Chiltern carried 55 nm of cable and completed the laying into Alexandria. A second cable was laid over this route in 1870 by CS Chiltern and CS Belgian. A number of cables were laid by Telcon in the Ionian and Aegean seas for themselves, the Greek and Turkish governments, and Anglo Mediterranean. One of these was from Cyprus to Turkey, laid in 1871 by CS Scanderia. These were all operated by Anglo Mediterranean and those owned by Telcon were eventually taken over by Anglo Mediterranean. CS Hawk was purchased in 1869 from Telcon for cable repair duties and was transferred to the ETC on its formation. 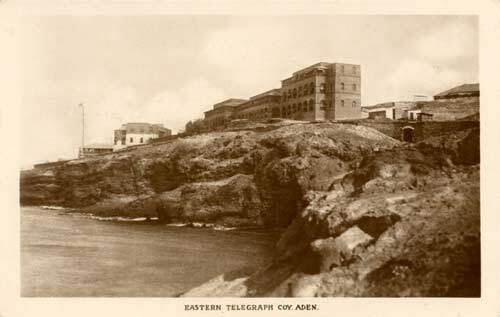 Pender’s second telegraph company, formed in 1869, was the Falmouth, Gibraltar and Malta Telegraph Company. Porthcurno was not the first option as a landing place for the Indo-European cable. John Pender intended to land it at Falmouth, hence the name of the company, but the high risk of damage from ships' anchors at the busy port changed his mind and the cable came ashore at Porthcurno. Telcon were awarded the contract for manufacture and laying. However they sub-contracted much of the cable manufacture to W.T. Henley while carrying out the laying themselves. This started at Malta on 14 May 1870 with CS’s Hawk, Edinburgh and Scanderia laying the 1150 nm cable to Gibraltar. CS’s Scanderia and Investigator then laid the 366 nm cable from Gibraltar to Carcavelos, Portugal. The last section, Carcavelos to Porthcurno, Cornwall, 824 nm long, was laid by CS Hibernia who started on 2 June, arriving at Porthcurno six days later. CS Investigator laid the shore ends of this the first cable into Porthcurno. This company was formed to provide the final link in the Indo - European submarine telegraph cable by linking Bombay to Aden and then Suez. Once again Telcon was awarded the contract. Four vessels, Great Eastern carrying 2375 nm of cable, Chiltern, 260 nm, Hibernia, 915 nm and Hawk, 10 nm, were originally chartered for the expedition. Later William Cory was added to the fleet to carry part of Hibernia’s load, which had been reduced to 615 nm to allow her to carry extra coal and so sail direct to Aden without stopping for refuelling. Great Eastern sailed for Portland Harbour on the 23rd October to finish coaling, then sailed from there on the 6th January 1869. On the same day Chiltern left Greenwich, both ships bound for Bombay via the Cape of Good Hope. To help reduce the temperature while in the tropics Captain Robert Halpin had the Great Eastern painted white. It had the effect of reducing it below decks by 8° when the ship reached India. Great Eastern stopped at St. Vincent, Cape Verde Islands for five days and then sailed for Cape Town, arriving there on the 22nd December, Chiltern having arrived there on the 14th. Both vessels left Cape Town on the 31st December, sailing together for a time, then Chiltern went ahead, arriving at Bombay on the 26th January 1870. Great Eastern arrived at night on the 27th and stayed outside the bay until the following morning. Laying commenced on the 14th February, with the Great Eastern laying almost 1650 nm of cable to Aden. Suez - The Eastern Telegraph Company Ltd.
Four days later Chiltern began laying the shore end of the Aden - Suez cable, but the cable machinery jammed and pulled the cable out of the cable hut three quarters of a mile away. From Aden Great Eastern laid a further 325 nm in the Red Sea with Hibernia taking over. On completion of the lay Hibernia buoyed the cable and leaving Chiltern as guard ship went off in search of Hawk and William Cory. William Cory laid and buoyed its cable and so all three vessels returned to Chiltern who then proceeded to lay the final section. From Suez to Alexandria telegrams passed over the landlines of the Egyptian State Telegraph system. To maintain these cables the company purchased CS Chiltern from Telcon and the vessel was transferred to the ETC on its formation. In 1870 this company laid a cable from Marseilles to Bona, Algeria, then on to Malta. The contract for manufacture and laying was awarded to Telcon, who sub-contracted part to W. T. Henley. CS William Cory laid the Marseilles to Bona section, and CS La Plata the Bona to Malta portion. 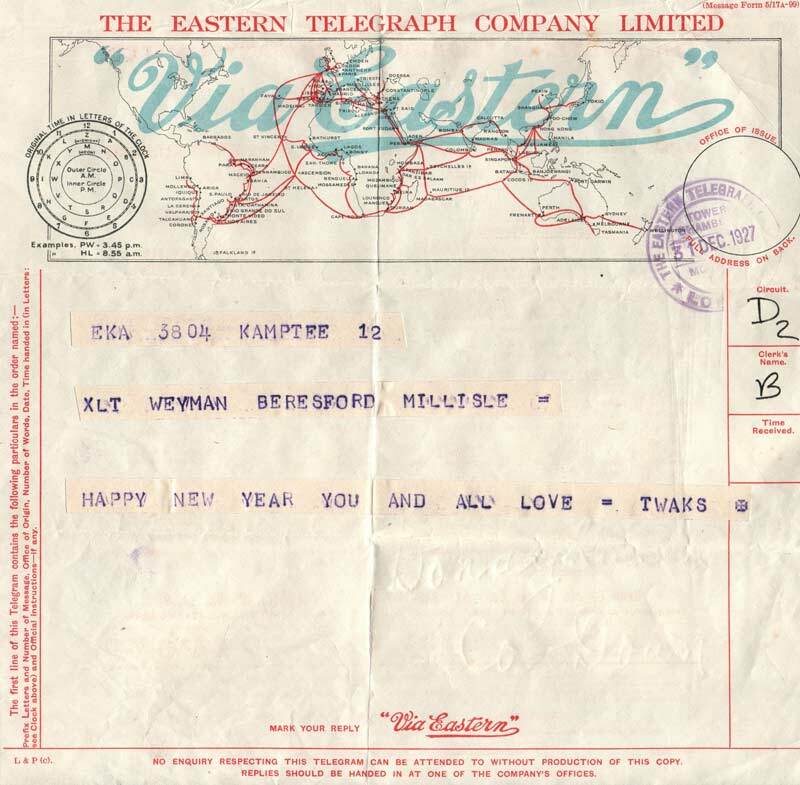 In 1872 the company became part of John Pender’s Eastern Telegraph Company, and in 1877 Telcon made and laid a duplicate cable on the route using CS Kangaroo and CS Calabria. 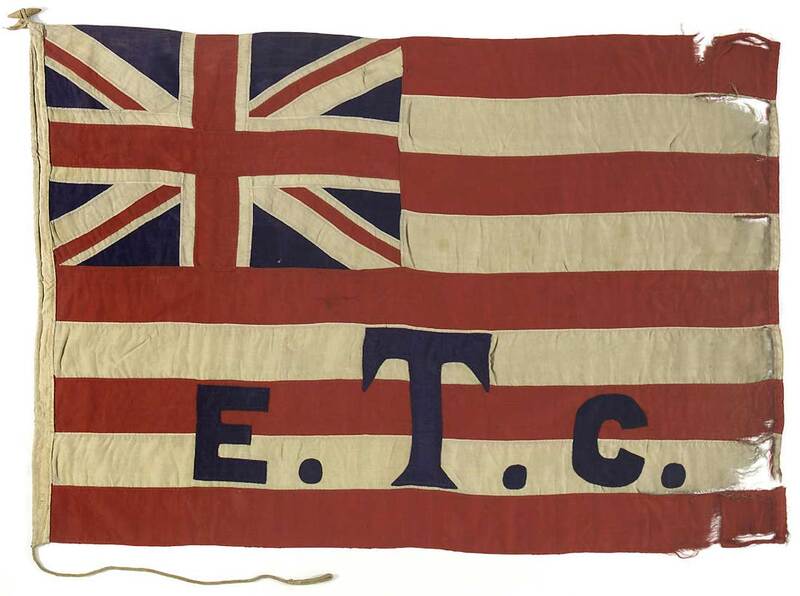 In 1872 John Pender reorganised these four companies into one, the Eastern Telegraph Company, (ETC), a company that was to become the largest cable operating company in the world. At its peak it operated 160,000 nm of cables. He became Chairman of the company on its formation and held the position until his death in 1896. The General Manager of the company was Sir James Anderson, who had captained the Great Eastern on its Atlantic cable voyages. The company then set about strengthening its links by duplicating cables over the busiest routes such as the Porthcurno-Carcavelos-Gibraltar. 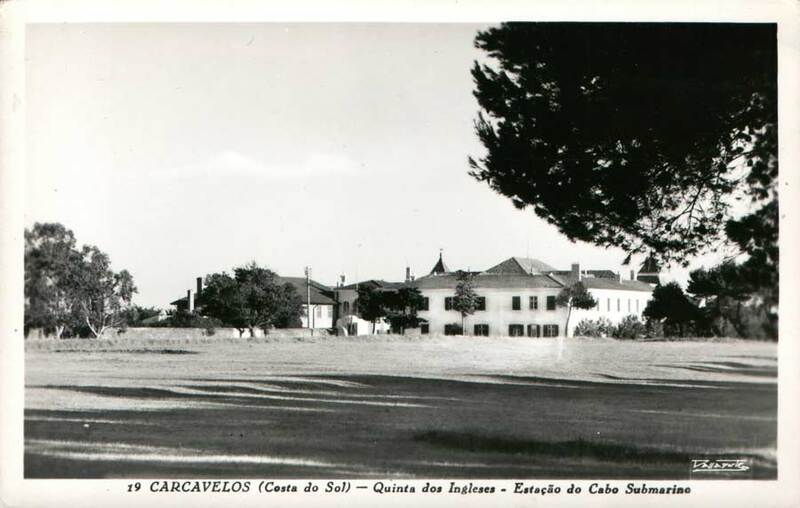 A second cable was laid in 1873 across the Bay of Biscay, from Porthcurno to Vigo and Carcavelos. 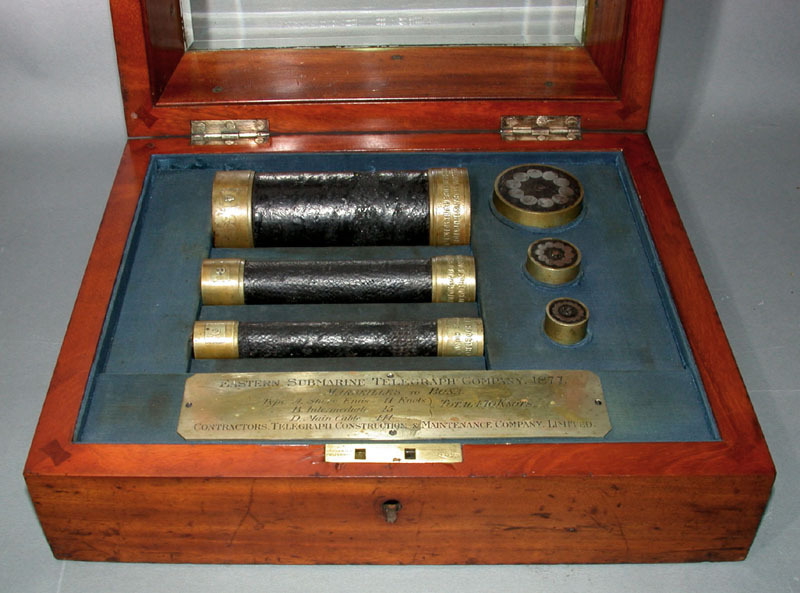 These two cables carried traffic from the Eastern Extension and Brazilian Submarine Telegraph Companies and carried a substantial amount of traffic over the years. It also laid a number of cables between the Greek islands, some operated by itself, others for the Greek Government. In 1876-7 Telcon laid a new cable between Suez and Bombay using CS’s Kangaroo, Hibernia and Seine. The sections were Suez-Suakin 803 nm, Suakin-Perim 670 nm, Perim-Aden 144 nm, Aden-Bombay 1870 nm. A third cable was laid between Suez and Aden without any intermediate landings by CS’s Kangaroo and Seine in 1884. A fourth was laid in 1890 with a landing at Port Sudan by CS Scotia and CS John Pender (1). The fifth cable of 1406 nm was a direct link between Suez and Aden laid in 1914 by CS Colonia. This was part of a cable running from Gibraltar to Hong Kong, all of which was laid by CS Colonia beginning with a cable from Colombo, Ceylon to Aden, a distance of 2264 nm, in 1913. 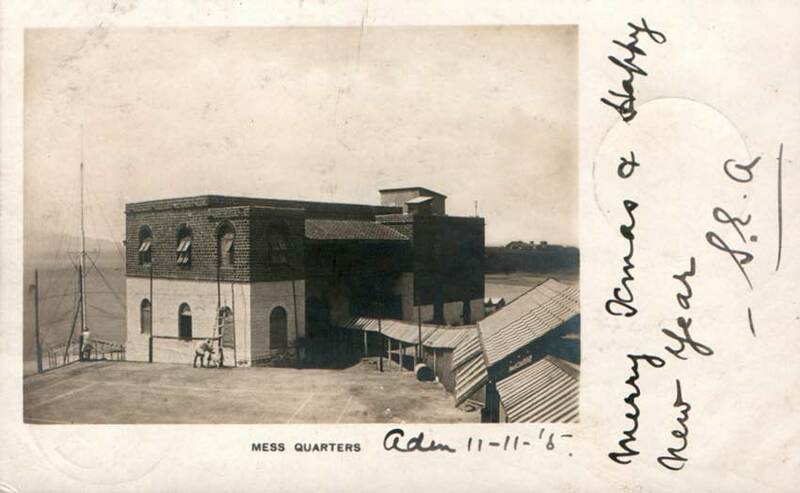 The sixth had a landing at Port Sudan and was also laid by CS Colonia in 1922. In 1920 the 1890 Suez-Aden cable was diverted into Port Sudan and Perim and in 1921 the 1883 cable received the same treatment. In 1891 a third Aden-Bombay cable was laid using CS Scotia and CS Calabria. A fourth cable over this route was laid in 1920 by CS’s Stephan and John Pender (2). The importance of Indian cotton to the mills of the North of England was well known to John Pender, whose company, John Pender and Company, still traded in cotton goods. Hence the number of cables laid over the years. Perim was a coaling station for ships heading to and returning from India, the Far East and Australasia and much telegraphic traffic was generated from there. As ships converted to oil its importance waned and it finished up more or less a ghost town. 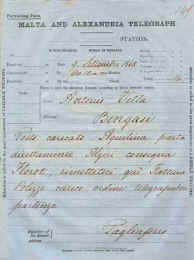 In 1874 ETC set up the Black Sea Telegraph Company to link Constantinople to Odessa. 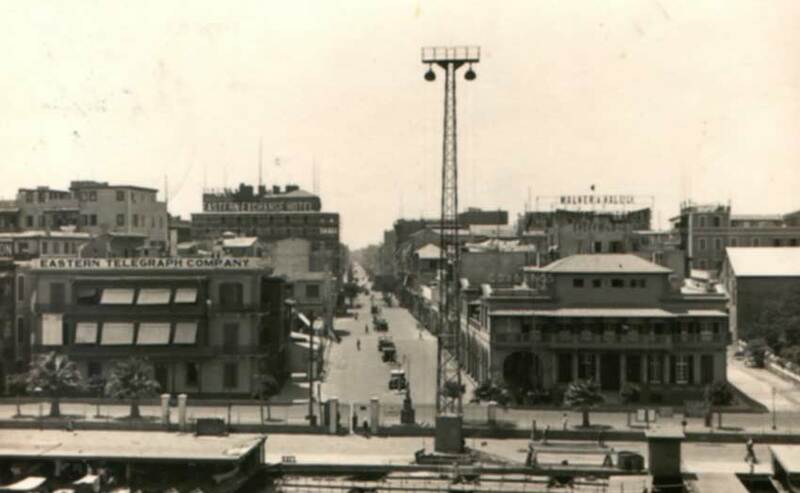 W. T. Henley were subcontracted to make and lay the cable using CS La Plata. At Odessa it was possible to link up with the Siemens Brothers' Indo-European Telegraph Company and the Russian national telegraph system, which provided a link to the Great Northern Telegraph Company in Moscow. In 1877 a new cable was laid along the route of the Marseilles, Algiers and Malta Telegraph Company by CS’s Kangaroo and Calabria. In the following year CS Great Northern laid a cable from Cyprus to Alexandria. Port Said and Alexandria were linked in 1882 by CS John Pender (1). 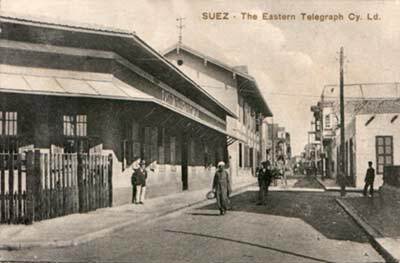 In 1885 ETC took control of the Direct Spanish Telegraph Company which operated two cables from the Lizard to Bilbao and one from Barcelona to Marseilles, which enabled traffic to be routed to Malta without passing through Gibraltar. 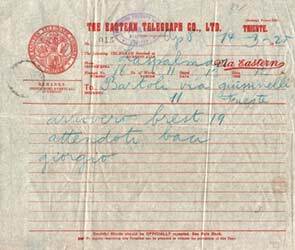 It promoted the Europe and Azores Telegraph Company, for which Telcon laid a cable from Porthcurno to Fayal in 1906 using CS Colonia. Also in 1885 the ETC promoted the African Direct Telegraph Company to provide links between the UK and her West African colonies. A cable from Bathurst, Gambia, to St. Vincent, Cape Verde Islands, was laid by the India Rubber, Gutta Percha and Telegraph Works Company Ltd., (IRGP) using CS Dacia and CS Buccaneer. Telcon, using CS Scotia and CS Britannia (2), laid cables between Bathurst, Gambia-Freetown, Sierra Leone-Accra, Gold Coast-Lagos-Brass-Bonny all in Nigeria. 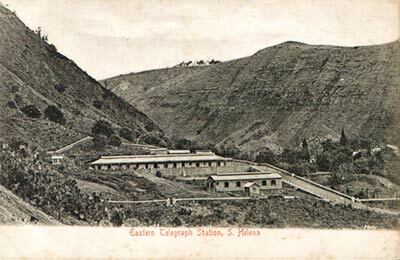 In 1893 CS Britannia (2) extended this to Calabar and Duala in the German Cameroons. 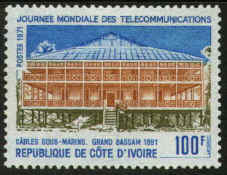 In the same year IRGP promoted the West African Telegraph Company to link French and Portuguese colonies to the Spanish National system, which had a cable terminating at St. Louis, Senegal. Using CS’s Dacia, Silvertown and Buccaneer, the connections were St Louis-Dakar, Senegal-Bathurst-Boloma, Portuguese Guinea-Konakry, French Guinea-Freetown. 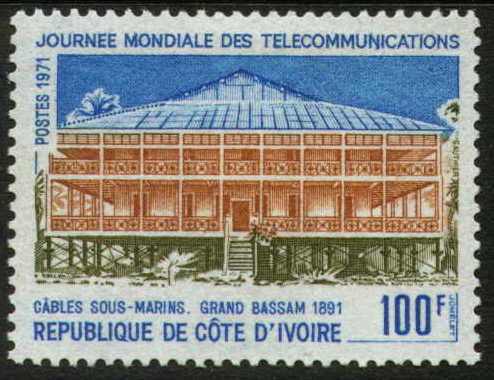 Then from Bassam, Ivory Coast-Accra-Cotonou, Dahomey-St. Thomas-Luanda, Angola. 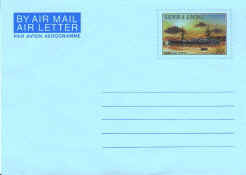 From St Thomas links were provided to Principe and Libreville, French Gaboon. Within four years the ETC had taken control of this company and it was merged with the Africa Direct. 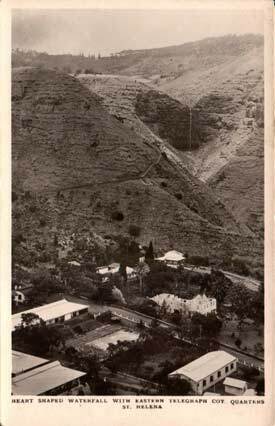 On the outbreak of the Boer War in 1899 direct communication between the UK and South Africa became essential. The ETC contracted Telcon to manufacture and lay the cables. CS Anglia laid the 2065 nm first stage from Cape Town to St Helena, completing it by 26 November 1899. While CS Anglia returned to the UK for more cable CS Seine laid the section from St Helena to Ascension, a distance of 844 nm, completing it by 15 December 1899. CS Anglia then laid 1975 nm of cable from Ascension to St Vincent, Cape Verde Islands, completing the task by 21 February 1900. 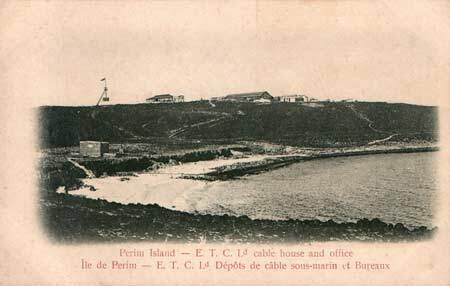 At St Vincent the cable connected with the Western Telegraph Company’s cables to Carcavelos, Portugal, then via Eastern to Porthcurno, England. In 1901 the ETC contracted the same company to manufacture and lay cables from St Vincent to Madeira and from there to Porthcurno. CS Anglia and CS Britannia (2) carried out the work. As an alternative route in case of cable failure, in 1901 CS Anglia laid a cable from Ascension to Freetown, Sierra Leone, a distance of 1125 nm. As an alternative route to Australia, this time via South Africa, CS Anglia laid a cable from Durban to Mauritius in 1901. The remaining cables were laid for the Eastern Extension. 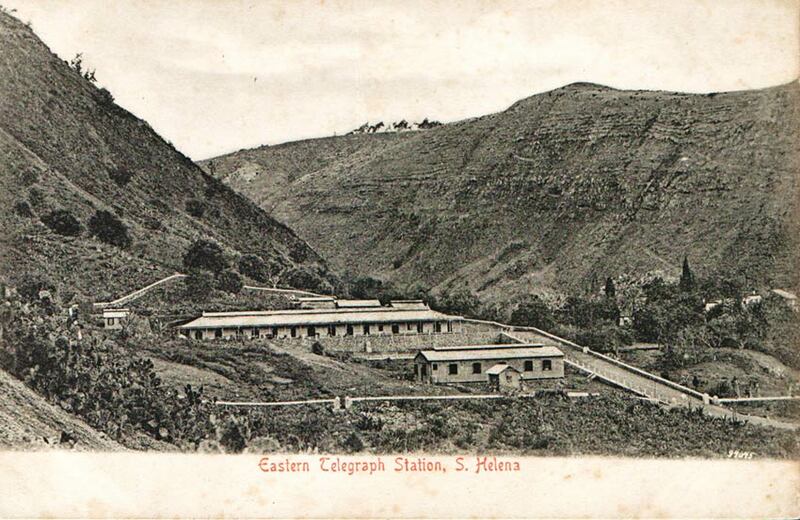 The last major cable in this area was from Seychelles to Colombo, Ceylon, laid by CS Stephan and CS Colonia in 1922. One further company promoted by the ETC, in 1914, was the Société Anonyme Belge des Câbles Télégraphiques, to connect Belgium and the Belgian Congo. To do this a cable was laid from Dumpton Gap, England to Middlekerke, Belgium with a T piece being inserted in the cable running from St Thomas to Luanda, belonging to the West African Telegraph Company. This T piece terminated at Banana at the mouth of the Congo river. Two further cables were laid between Port Said and Alexandria during 1927-8 and a cable from Larnaca to Haifa was also laid in 1928. All of these were laid by CS Colonia. 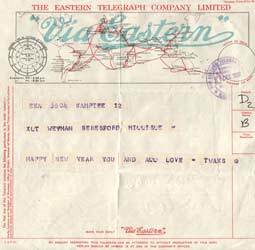 During World War I the Eastern Telegraph Company issued a lapel badge to its employees who remained on essential duty in the cable service rather than joining the armed forces.